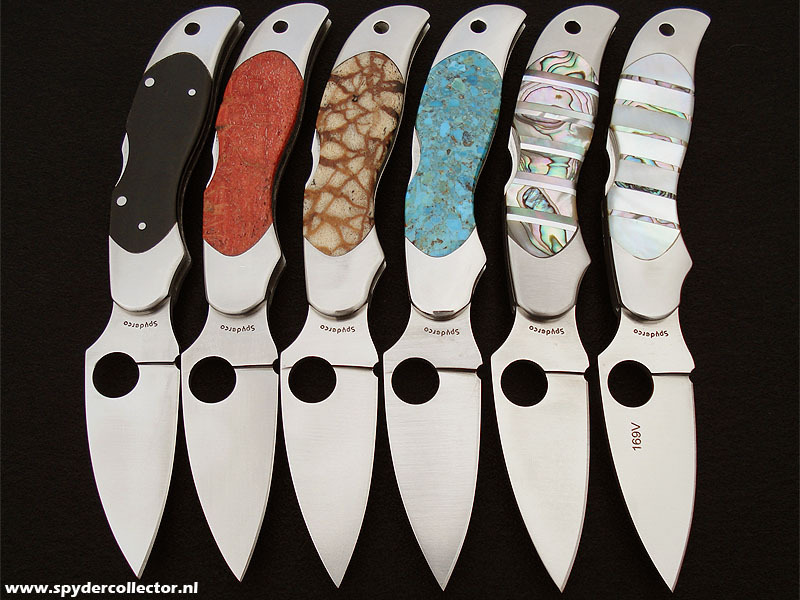 Here at the Cutting Edge, we like to get perspectives on different brands of knives, so for Spyderco, we decided to talk to Wouter, a communications worker in the Netherlands, who runs the great site Spydercollector. At the site, he gives reviews, posts pictures of prototypes and talks all things Spyderco, so check it out. If you’re not familiar with Spyderco, it’s a knife brand founded in 1978 and based in Colorado. Spyderco knives are known for their simplicity and reliability. Here’s the first part of our interview with Wouter. What made you interested in collecting Spyderco knives? The interwebs. Over ten years ago I had a few high-priced and extremely well-made knives, like the Chris Reeve Sebenza and the Microtech SOCOM. Up until then, my experience was that more expensive knives meant you got better knives. 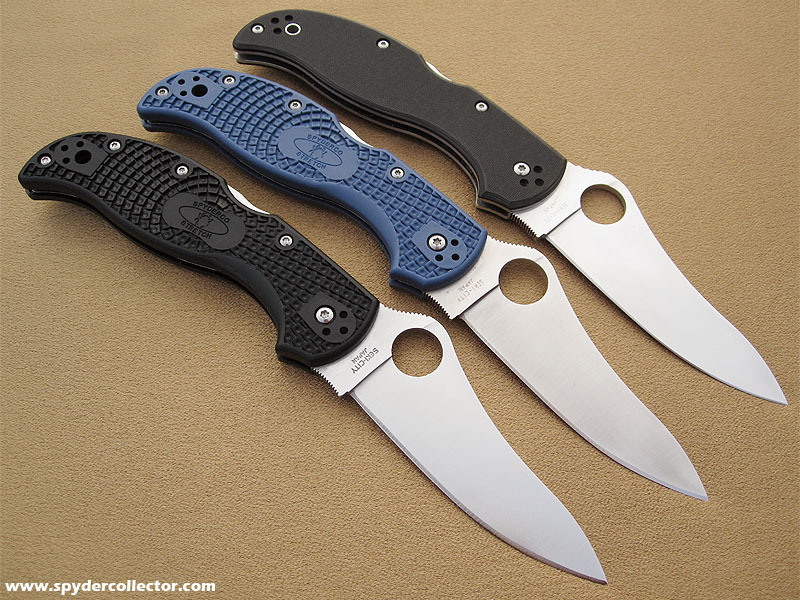 The Spyderco forum on BladeForums.com was pretty popular at the time and these guys just wouldn’t stop raving about the then newly revamped Military folder and the Moran fixed blade. I basically figured let’s see what the fuss is all about. I was blown away. The Spyderco knives cut just as well, if not better, than my expensive Sebenza and SOCOM. Furthermore, the ergonomics of the Spyderco knives were way better, and for the same amount of money I could get more knives. Moreover, the Spyderco tri-angle sharpmaker taught me how to properly sharpen knives – I started using the knives much harder. What do you like most about Spyderco? The knives have a unique look but they were actually designed in the dark. Every design begins with a specific task or use in mind. Everything else is designed to reach that goal: blade shape and grind, ergonomics, locking system, opening action, construction etc… They end up with a pretty unusual looking knife, but they work really well. I think the Kopa series was Sal’s first and only attempt to deliberately make a ‘pretty knife’. Furthermore, the wide range of models Spyderco makes, means I can carry and use a knife for any occasion; whether it’s in a suit at the office or in the woods. They come and they go. I never counted them, but let’s just say I can rotate my EDC (everyday carry) often. If you had to choose, what is your favorite Spyderco knife? That’s a tough one. Let me escape your dilemma by identifying a few categories. My favorite purely functional user knife is the Spyderco Stretch 2 with the peel-ply carbon fiber handle and ZDP189 blade. The size is just right for all my urban cutting tasks and the occasional camping trip. I’m a lefty and the midlock design with the reversible clip, makes the knife a very good fit for my hand. It’s the only knife I have a back-up for (as well as the FRN lightweight variations). The Spyderco Kiwi my wife gave me as an engagement gift has great sentimental value. It’s a customized Kiwi, with a Mother-of-Pearl Handle by Santa Fe Stoneworks. It’s a really good office knife, it cuts fruit, boxes and data cables equally well. That pretty little knife has also converted a few non-knife people. From a collection point of view, some of the engraved knives I got as a ‘thank you’ from the Spydercrew are favorites as well. My fluted titanium Military is a stunning piece. Stay tuned for part 2 of our talk with Wouter. In the meantime, check out our huge Spyderco collection for sale.